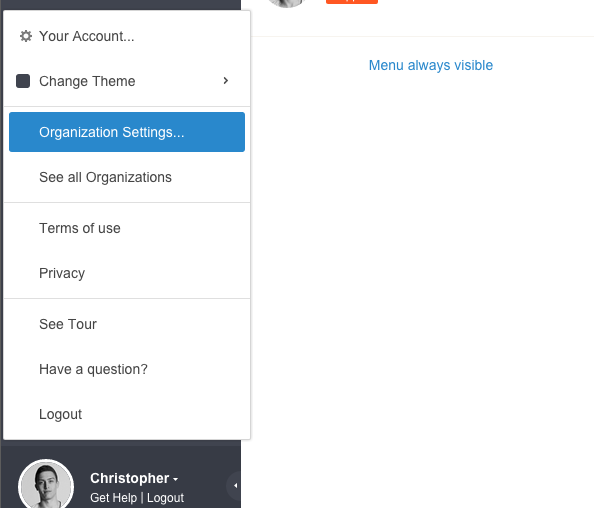 To remove an user from the organization, you need to open the organization settings and to select the tab "Team". 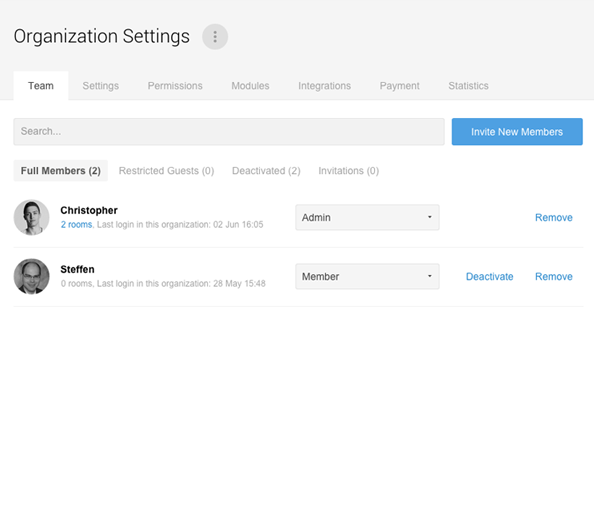 Open the settings of the organization. The team overview displays two different options that both remove an user from the rooms / organization. Firstly, the user can be removed completely from an organization by clicking on "Remove". That will remove him from all data rooms within the organization. Secondly it's possible to deactivate an user. This will also remove him from the organization and all rooms. If you reactivate the user, he will be included in all rooms just as before. It's not required to purchase licenses for deactivated users. An user can be deactivated or removed.